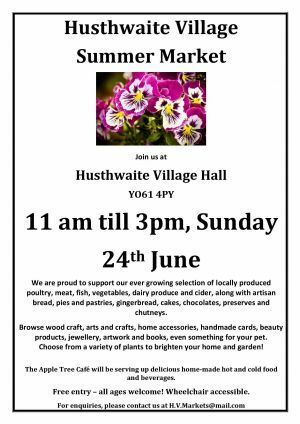 For a fantastic selection of local produce, arts and crafts. Open from 11am to 3pm. The Apple Tree Cafe will be open serving a delicious range of sandwiches, hot and cold drinks and home made cakes!